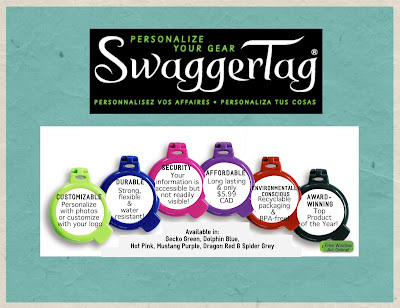 Add a little swagger to your luggage with SwaggerTag! Recently, I had the chance to check out award-winning SwaggerTag luggage tags, which were featured on CNN as one of the Summer's Hottest Travel Gadgets! I love the personalization aspect of these fashionable luggage tags. It's fun to check out their selection of free SwaggerTag window art in their online library. I also loved the that fact that while my personal information was readily accessible, it wasn't readily visible to anyone passing by. 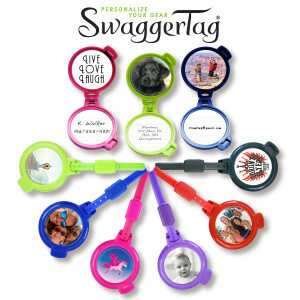 SwaggerTags have a thick, pliable strap that's durably made to last - and they're impact, weather and water resistant! 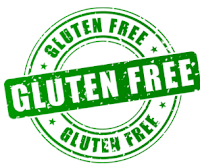 As a mom, I'm happy to report SwaggerTags are made with food-grade materials and are BPA-free, as well as featuring environmentally friendly packaging. Based in Canada, brightly-colored SwaggerTags are affordable at only CAD $5.99 and are listed on Amazon in U.S. dollars for any U.S.-based customers. They're also available in money saving 3- and 6-packs (US $14.99 & 24.99). Attach SwaggerTags to your luggage, sports gear bags (hockey, ski, soccer, golf and more! ), backpacks, or whatever you need to safeguard and easily identify. SwaggerTags would be perfect for a group traveling together, for corporate give-aways, or as custom branding for your small business. My SwaggerTags have successfully traveled cross-country, then on to Mexico, and survived a hockey tournament with bags being thrown haphazardly about in a team bus. And they're still securely attached and ready to go for my next trip. While they're definitely not just for kids, I can see SwaggerTags being a great hit at a birthday party as each child could personalize a tag for their school bag. SwaggerTags would also make a great gift! I highly recommend these eye-catching, easy-to-use luggage tags. For more information, check them out at SwaggerTags!